You have likely heard the saying “One man’s terrorist is another man’s freedom fighter.” What does that mean? It means that terrorism is often shaded by perception—by what one perceives is right or wrong, equitable or unjust. 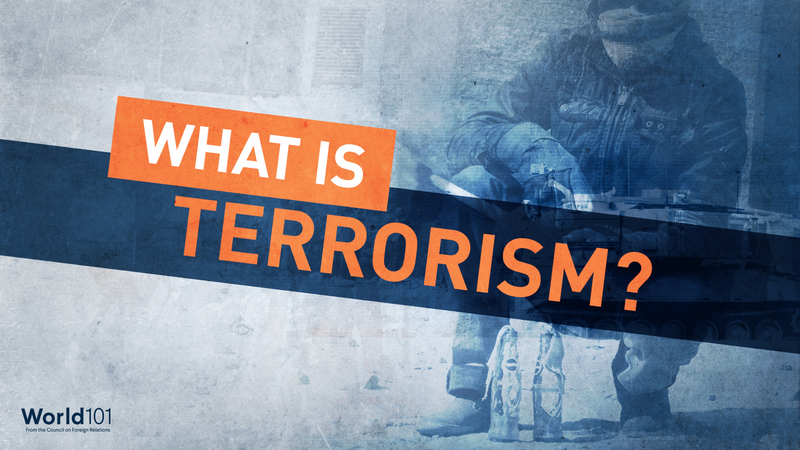 That can make terrorism tricky—but not impossible—to define. In fact, several characteristics distinguish terrorism from other violent acts. The fear provoked by terrorists and the reactions to terrorism have changed so much about today’s world, from encryption on mobile phone apps to admission of refugees and distribution of foreign aid. These seemingly unrelated subjects are now inexorably tied to the public debate on terrorist threats and responses, making terrorism an essential global issue to understand. and, last, zoom in on one piece of legislation that has had a lasting impact on how the United States fights terrorism in the post-9/11 world.